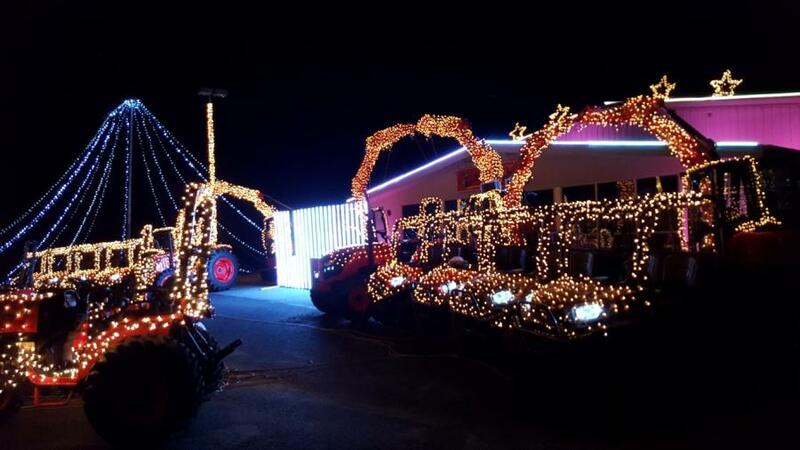 For its third year in a row Messick Farm Equipment held a successful fundraising event with its Christmas light show in Elizabethtown, Pa.
For its third year in a row Messick Farm Equipment held a successful fundraising event with its Christmas light show in Elizabethtown, Pa. The animated Christmas light show was open to the public for 24 nights in December and managed to bring in more than 3,175 cars, which raised a total of $25,246.50 in donations for Paxton Street Ministries, Water Street Rescue Mission, Mennonite Disaster Service, Elizabethtown Community Cupboard and Habitat For Humanity. Messick's Christmas light show featured more than 100,000 lights covering the store, light poles, and dozens of Kubota tractors, excavators, skid steer loaders and RTV's that move to the broadcasted holiday music for a visually thrilling experience. Hundreds of visitors attended the event each night and were able to enjoy the show from inside their cars.